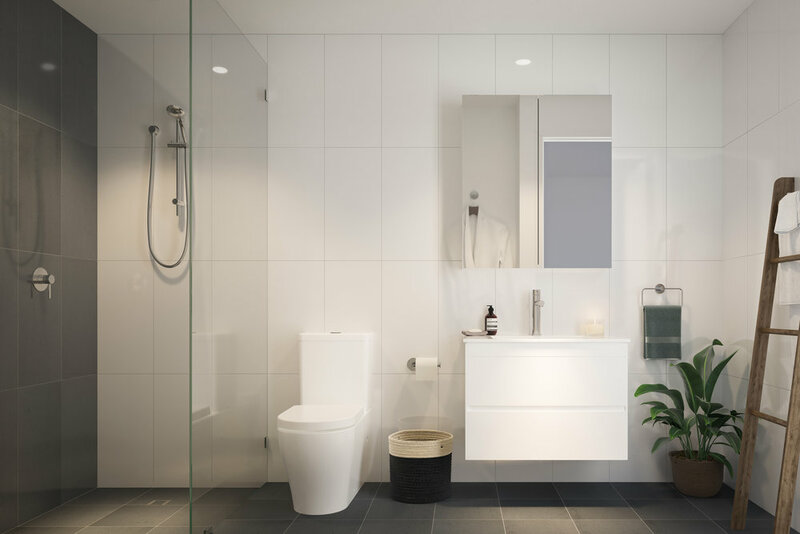 Set just outside the up-and-coming town centre of Parramatta, Onyx has 28 one and two-bedroom apartments that are contained within two thoughtfully designed, 4-storey buildings wrapped in lush greenery, with another stretch of greenery in between. We design the two buildings to step down the site towards the rear. This ensures that the overall envelope of the buildings matches the immediate neighbours. We make the front building (Block A) a street wall building with a bold, white, cantilevered band of wintergardens with glass louvres – the main feature of the design. Then, we articulate and align street frontage elements accordingly to integrate the front building with the immediate neighbours in a seamless manner. We also activate the street with entries and elevated terraces that are defined by high masonry fence and planter box walls in black glazed bricks. We only use two primary colours throughout – white (white bricks) and black (black glazed bricks) – as both are pure neutral colours, thus allowing the two buildings to sit comfortably with the immediate neighbours. The starkly contrasting colours of white and black, and the use of bricks, also reduce the sense of bulk and scale. We design the apartments to have open-plan living areas that offer a number of possibilities for occupation, including home office. The apartments are also efficiently planned and have an optimum level of space, light, cross-ventilation and privacy. Most apartments receive direct northern sunlight whilst the rest receive either the uplifting morning sunlight or the well-shaded afternoon sunlight. The apartments come with different yet generous private open spaces – terraces for ground-floor apartments (Block A), grassed gardens for lower ground-floor apartments (Block B), wintergardens and balconies for upper-floor apartments (Block A and Block B respectively), and rooftop terraces for top-floor apartments. 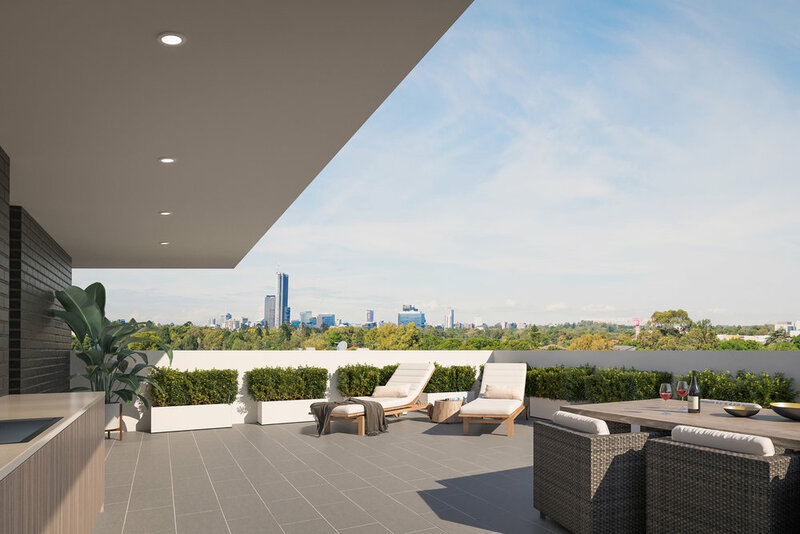 Above all, there is a communal rooftop sanctuary with sweeping district views – a welcome community asset – that is divided into two distinct areas for privacy.